Today started pretty low key. Coffee, reading the news. Then I decided I needed to clean. 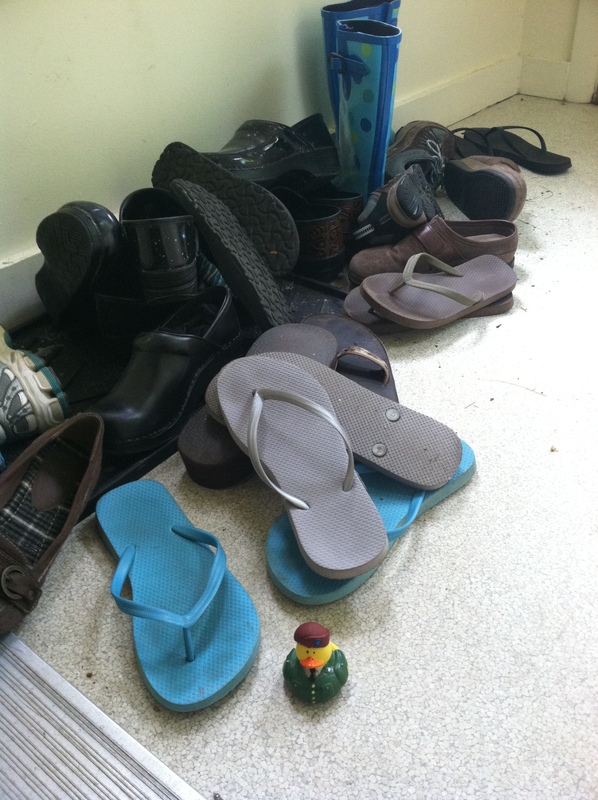 We started off with this messy pile of shoes. 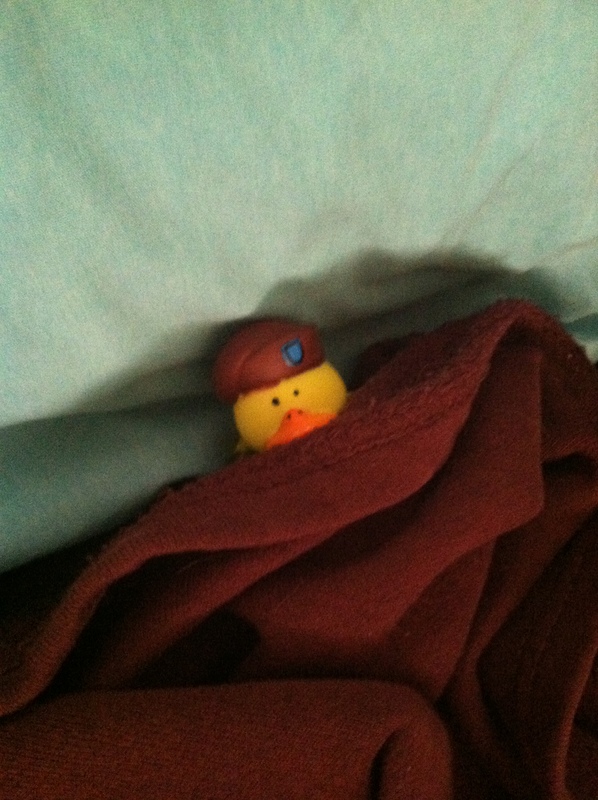 In case you can’t tell, Army Duck is giving me a disapproving look. This would NOT meet the standards of his superiors. Thankfully, I don’t have to live with them! 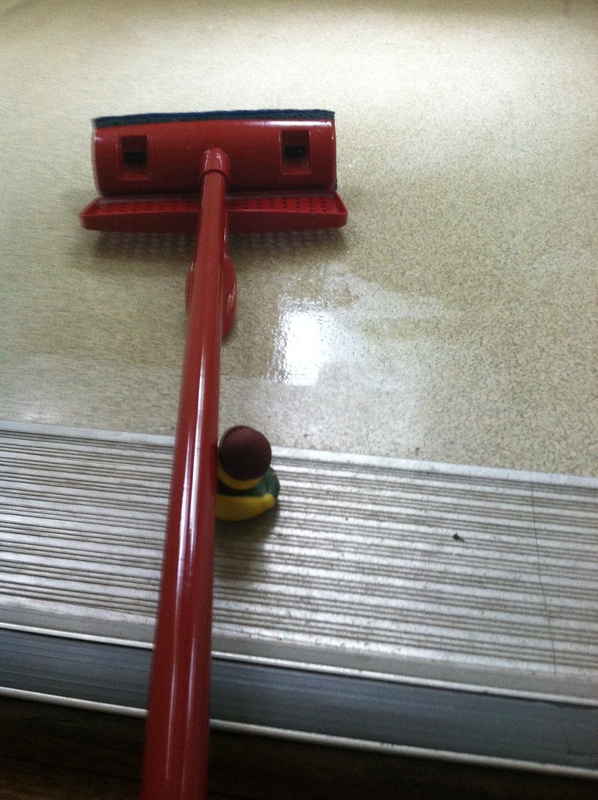 When it came time to mop the floor Army Duck insisted on doing it, until he couldn’t lift the mop. Then he proceeded to give PLENTY of directions on how to mop the floor (that I ignored). After all the cleaning (I am not showing the rest of my messy house! :-p), we were pretty exhausted and laid down for a nap. Upon waking up, it was time to move onto grad school work. 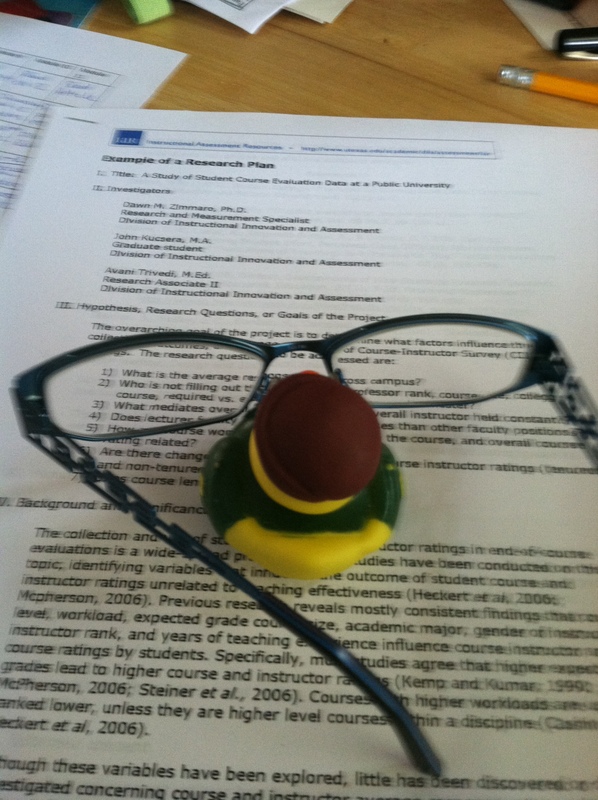 Army Duck insisted on using my glasses to read the report. I think we may need to get some his size!